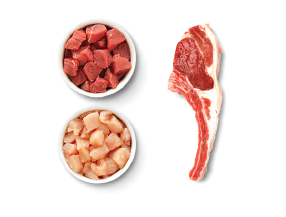 The result of over 30 years of nutritional know-how, this savory, highly digestible recipe is formulated especially, to meet the needs of overweight, spayed, neutered or senior dogs. 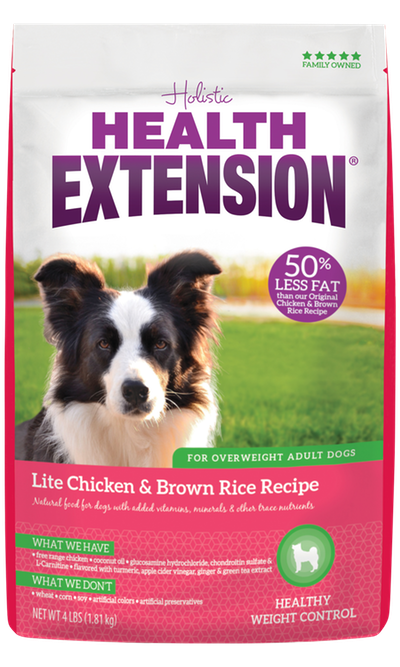 It contains 50% less fat than our Original Chicken & Brown Rice formula, yet you’ll feed the same amount, so your dog feels full and satisfied. We start with organically raised chicken, as the number one ingredient. 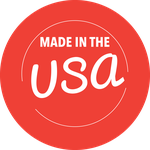 Then we add natural, whole food ingredients like brown rice, a highly digestible grain. 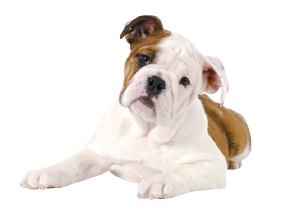 To help support your pet’s mobility, this dry dog food recipe is enhanced with glucosamine hydrochloride, chondroitin sulfate and L-Carnitine. It’s also packed with natural probiotics for proper digestion, as well as flaxseed and pure coconut oil for supple skin and a shiny coat. 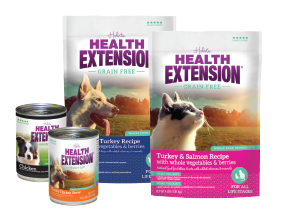 Holistic Health Extension Lite Chicken & Brown Rice Recipe is formulated to meet the nutritional levels established by the AAFCO Dog Food Nutrient Profiles for maintenance of adult dogs.